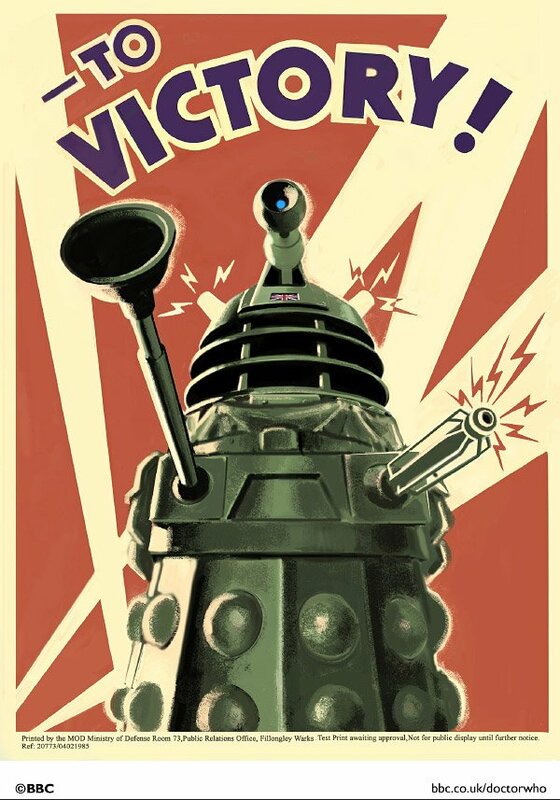 BBC has made a printable pdf version of this Dalek poster seen in the first episode of the latest Dr. Who TV series. I actually don’t see how a giant pepper shaker can be menacing; I’m more creeped out at the weird slug-like creatures inside the armor. Download it here and honor the most unusual villains in the universe.